Being healthy is a blessing and there are so many ways to achieve a healthy and fit body, such as following a healthy lifestyle and exercise routinely. Some people are going to gym and the other prefer doing their exercise at home. If you are the latter, you may need a good equipment to help you train your body. 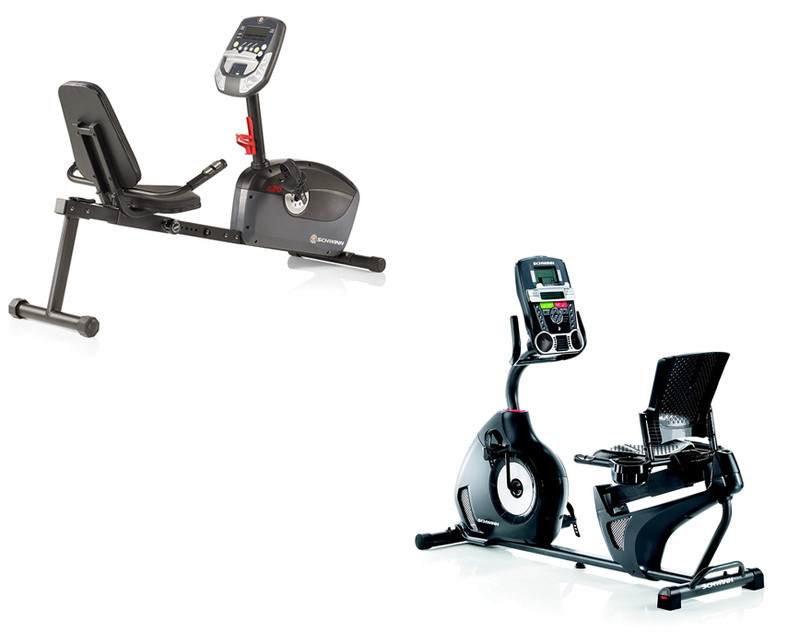 In today Schwinn A20 vs 230 article, we are going to give you information about what these two popular recumbent bikes can offer to you, so you can choose wisely. For those who never used a recumbent bike before or don’t have any idea what these exercise equipment can benefits your body. These type of bike are good especially to support your spine and the design is exceptionally beneficial for people with back pain or balance problems. Riding the bike will also help you to strengthen the hamstring muscles more effectively than using an uprights bicycle. One product you can always count on to is Schwinn A20, which is the recumbent version of its upright A10. As it has been said earlier, the best benefit of recumbent bike design is because it provide extra support for the user’s lower back when cycling, which you can’t get when using upright bike. Schwinn A20 itself comes with an extra wide padded seat with a back support to give you a comfortable position with low impact when working out to reduce stress on knee and hip joints. It is made from a good quality material and able to support user up to 275 pounds or 125 kg. Now let’s talk about what Schwinn A20 can offer to you. Just like any other recumbent bike, this one also comes with resistance settings. 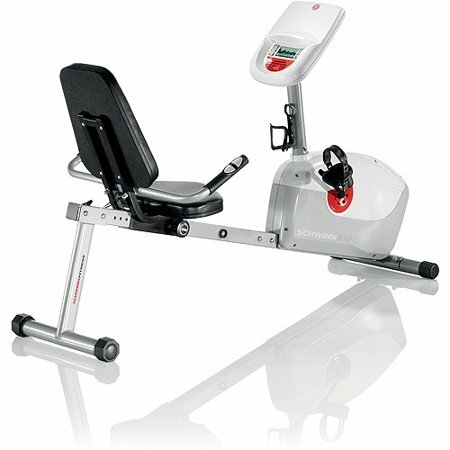 The machine offer you 8 different settings to choose and it is using a computer controlled eddy current resistance system. With the amount of settings, it can help a different level of users start from the beginner to those with more experiences and you can easily choose from the control panel. Another worth mentioning feature here is the stabilizers. Unstable fitness equipment can be stressing to use and that is why this recumbent bike has polygonal end caps on its rear stabilizer bar. These end caps will counteract any slight uneven flooring and keep your bike stable. What’s lacking here is unfortunately, the bike doesn’t comes with any transport wheel, so moving it will need an extra energy. Read also: Exerpeutic 900XL vs 400XL here. Locating at the front where you sit, there is a display console similar to what you can find in A10. What’s great here is even though this bike is categorized into the more affordable unit, the display is actually quite big, so you see and use it easier compared to many similar bikes out there with smaller displays. The display will deliver you information, such as distance, calories burned, time, and current workout program that all displayed at the same time, so you don’t have to scroll through one metric at a time. 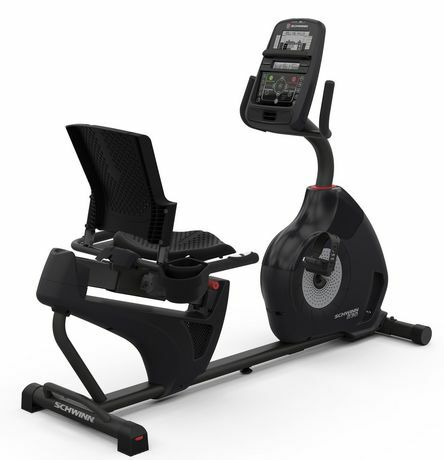 If you need the same recumbent bike but with more powerful features to help you during your workout and don’t mind to spend more of just simply want a higher model, you may want to take a look at Schwinn 230. This bike is actually one of the company’s most features rich recumbent bikes yet still comes in an affordable price. It will give you with everything you need in a recumbent bike like workout programs, heart rate control, speakers, and many more. Check the video review on YouTube. Even just from looking you will know that the bikes has lot to offer. Unlike the more affordable brothers, this one comes with a seat that more resembles a chair than a bike seat. It is made from plastic with holes to make sure your back won’t get too hot while exercising. However, since it is not padded, some people will probably find it to be a little uncomfortable and the plastic material also means you will probably slip at some point and need to adjust your sitting position again. Schwinn 230 comes with weighted flywheel for the resistance, so you can pedal smoothly through all the levels of resistance and avoid any choppiness. Its 13 lbs. perimeter will also help you avoid pulsing like in those lighter flywheel. However, you may still experience some uneven feeling at higher resistance levels. As for the amount of level, you will get 20 different levels that you can easily tone up or down using the control panel, so people with different levels of experiences will be able to use the bike. Through the control panel, you can set the program you want to follow or if you want, you can just choose the quick start and instantly pedaling. The screen is quite big and will inform you about your exercise data, such as time and calories burned. You can even store your workout results but only for 2 profiles and then upload them to Schwinn Connect, which is a fitness account or to myfitnesspal.com. If you want to place any tablet or iPod, there is a ledge on the front below the upper display. Schwinn 230 also comes with USB port and MP3 port, so you can play and charge your MP3 player or tablet while it is operating. It probably won’t increase your battery level but it will prevent them from draining. You will also get 22 different workout programs consist of 9 profile, 8 heart rate, 2 user defined, and 2 fitness test. Now, let’s compare Schwinn A20 with Schwinn 230. As you already know, the 230 model is the higher end recumbent bike with more features than A20. It comes with dual display, speaker, more resistance as well as more workout programs. Another difference from the outside is the seat since A20 is padded and probably more comfortable for many people than the plastic material used in 230. All in all, the decision is all yours to make. In our opinion, both of them are a good choice depend on what you are looking for. If you wish to have more options and better display with more information or the ability to save your progress, we will highly recommend you the Schwinn 230.